If you are looking for a mover that puts your needs ahead of their profit margin, give us a try and see what transparency can do for you. We can help you recycle, and donate too.We are a full service moving and relocation corporation. We are a medium size business with 5 of our own Box trucks, and a corporate account through budget truck leasing. We can accomplish your biggest moves, or make your most fragile deliveries? We understand time sensitive clients and can complete goals within real world, time critical situations. Whether moving across the hall, the neighborhood, or the state we got this covered.We specialize in customer service. We are a for profit business, and we value money, whether it be yours, or ours. We always present time saving techniques and train our staff in a unilateral approach to everyday challenges. Instead of hand carrying individual items, our crews are taught to fill giant 5'x3'x3' wardrobe boxes, taking a dozen individual trips, and making it one. Established in 2007. 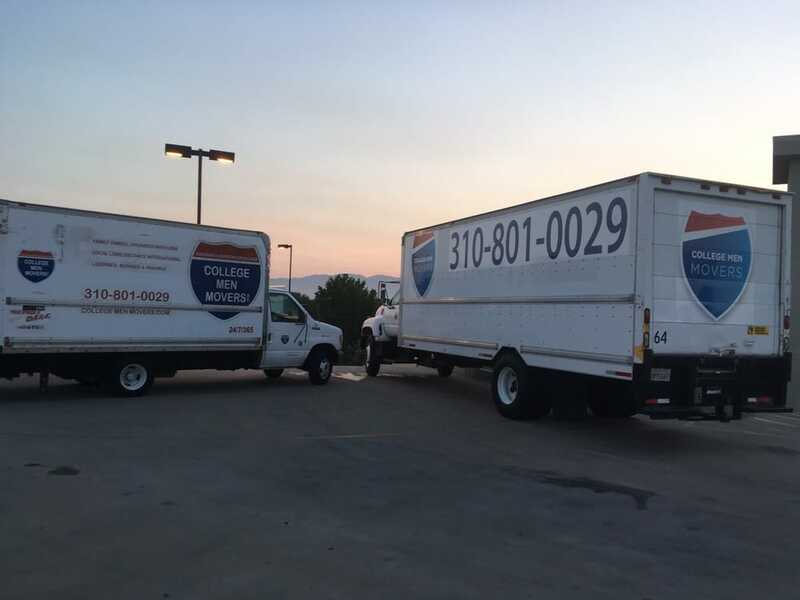 We have been serving the moving and storage industry for 10 + years. 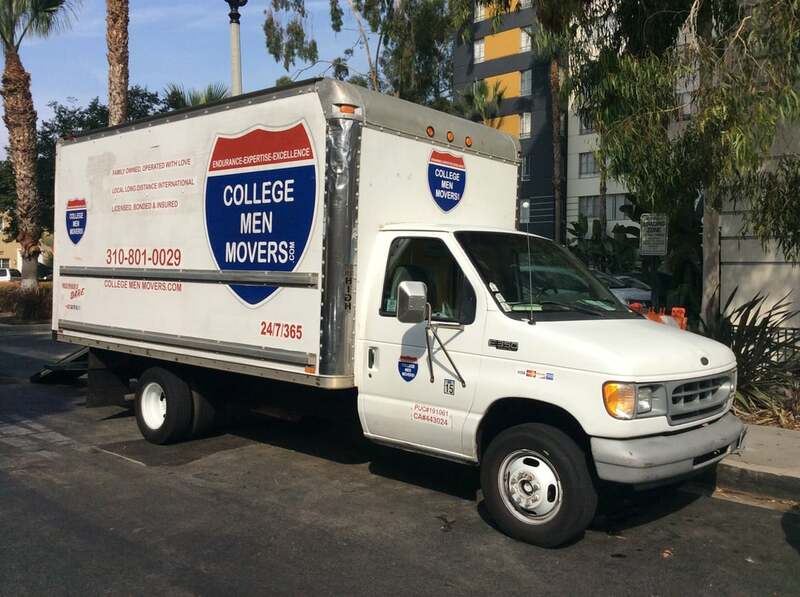 We hired College Men Movers to help us load a truck for a 1 bedroom apt. Bob and Martin showed up a little earlier then scheduled which was great! We went over pricing again, I signed the invoice and they got started. Bob was extremely friendly and both guys worked their butts off to get the job done. They shrink wrapped our furniture. Packed out things in boxes and taped it up. They loaded up our truck pretty fast and I was impressed with how hard they worked! I did not know that they would be okay with loading their own truck and taking me all the way up to San Francisco or else I would've hired them for the whole job!! They were that amazing! I'm super sad to post this but I have to. The owner of this company is very hostile and rude. I have a two bedroom with a roommate (so technically a one bedroom) no large appliances to haul and moving from a small 52 unit building to a large community style area. It took 8.5 hours at 89$ per hour, cash. I bought the men a 70$ lunch and a quick dinner. In the 8.5 hours my things didn't get completely moved. I went to my car and came up stairs to find a box of mine by the elevator, grabbed it and walked in to my new place with the guys sitting down at my table with the invoice, waiting instead. One guy was nice and worked super hard--crazy fast. I asked the owner to speak and he agreed, I called very calmly and started with good morning how are u, id like to talk to u about your movers yesterday. One guys was amazing! But I think the other man was holding him back and it really took such a long long time. AND HOLY COW!The owner would NOT let me speak. I called to compliment one man and his hard work--he even said during the move "I wish there were two of me". The owner starts yelling at me that I'm taking advantage of him and that His movers are the best and no one ever complains about his company--yet later said people complain to him every move.He wouldn't let me get a word in, starting 'teaching me business' and letting me know about his bankruptcy, about him voting trump, about him "wanting to be a good American and not hiring illegal immigrants". I said many times I'm just trying to talk to him and voice my concerns and to please calm down, he wasn't having it. Said I came at him wrong and that I need to understand his profit margins.I went back to my old place to see if I could haul the rest myself--there's not too much that didn't get packed, although I will need another move on top of the nearly 800 I spent yesterday. They left blankets at my place and when I told the owner he cut me off and rambled a story of how they had to make a second trip so they left it there--yes, I know this, I swear I was trying to tell him so he could come grab them--not complain. I wanted to remedy by asking for an hour free with the 3 hour minimum and he lost it again, saying that I'm taking advantage of his company. I said absolutely not, I'm not calling to get free things from u. I'm asking for a remedy. But he just started attacking instead.He said I called his other employee a loser along with other names--COMPLETELY putting words in my mouth. I would NEVER talk to someone that way or insult someone's company. I am a customer with a concern who was searching for a remedy.I did flip out once bc he just WOULD NOT listen to me when I was calm, but other wise I was just sat there and listened, flabbergasted at his tone with me--his client who just spent almost 800$ and bought them food.He passive aggressively said 'oh good and thank u, good for u, I'm glad u did that. You're an amazing human being" I told him I got them food not for the glory or being nice but to show him that I wasn't calling for free things and that I liked the men. He still just yelled at me and gave me so much attitude.Marlon you are awesome--sorry you had to work so hard but thankyou for keeping sweet and communicative. I'm sorry you work for someone who treats people so hostile.Find a different company, this owner is not someone who believes in doing the right thing to remedy a situation or to help people. At all. How do you take the stuff from one and a half 17' x 10' moving trucks, and fit it into a 10' x 20' storage locker - and still have 1/3 of that storage locker space left empty? That's 250 square feet of stuff put into 140 square feet of storage space - leaving 110 sq ft of stuff left unaccounted for. How can this be done? It's simple--by Scamming the customer.The scam was executed almost perfectly - and it took us a while to collect all of the evidence that we need to prove it in court if we so choose. 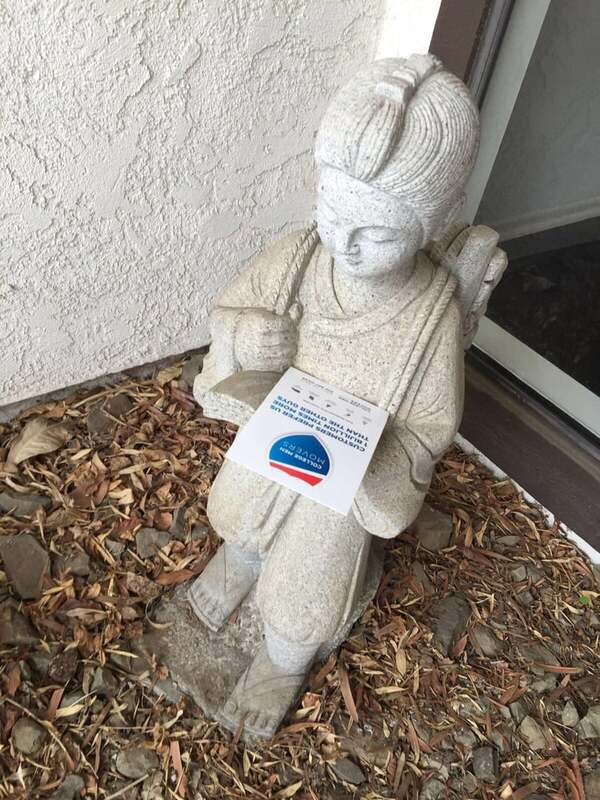 I do not know if our movers were scamming us on their own, or if the business owner and the company itself was in on it too - but either way - we were "played" and "grifted" - as probably many other customers are also played, grifted, & scammed. And I am sure other movers perform the very same scam.It happened about 2 months ago, when my father suddenly died and I had to quickly move into his house temporarily in order to wrap up his affairs and sell or pack his things. This meant that nearly all of my stuff had to go into storage. My girlfriend called College Men Movers to help.When the day arrived to move I still hadn't finished packing my 900 sq ft, 4th floor apt. Luckily the movers set us up for an afternoon move - and they said they would help us pack.From this point on, the scam was brilliant and simple. They arrived late (saying we told them to meet at storage), and only 2 movers came, in a medium sized truck, with a bunch of broken down boxes tucked in the back. The boss-man acted upset, saying we had way more stuff than he expected, and that they needed a 3rd guy, a bigger truck, and more time to do the job. Making us feel guilty & grateful.They instantly raced to move our things, breaking a couple of things right at the start. And always, the boss-man blamed us. But this was all an act, to mask the fact that for every real box or two they carried down, they built a new, empty box, and stacked it next to the full ones in the truck. Thus the truck was filling up with boxes out of nowhere, very quickly. So it looked like they were amazing movers. Only 85% of our stuff was designated for the moving truck (bound for storage). The rest was moved into my large Ford Expedition, destined for my dad's house. I was very careful to tell them which went where. This messed up their process a little, which made the scam more visible - even though it didn't register at first.As frantic as they were in the apt, grabbing boxes & complaining that there wasn't enough time to move it all in one day - downstairs by the truck, they often looked like they were taking a break - eating, chatting - and my girlfriend even saw the younger guy messing with empty boxes that were not ours. She called the owner to ask why they were breaking down empty boxes on our dime, and he "offered" to end the move and recall his truck, leaving us stranded and in breach of our lease to get out by midnight. So we shut up.Then, suddenly my Expedition was full. I went to consolidate its boxes and I found that some were empty or packed by the movers only half full, and others were actually meant for the truck. When I pointed this out, the movers said the truck was full and they would return in the morning, after I rented another truck. Then they demanded payment for the day (CASH) & left with all of our stuff. We spend the night in the near empty apt (slept on the rug with no bedding), costing us a $225 rent penalty. The next day I rented another truck and the move continued. It was night by the time they had transferred everything into the storage locker. By this time we had figured out what they were doing. We even peered into their truck unseen and saw the younger one breaking down dozens of empty boxes which they had used to pad my real boxes. She opened one and it had tissue in it. That was when the realization of the scam became clear.The movers hit us up with an over $1200 bill (for both days) twice what we estimated, & all CASH. Using a credit card would add 25% or so more. The boss-man said that he would cut the fee by hundreds if I wrote a 4 star Yelp review right then and there in front of him, but I refused. I am sure other people don't refuse, thus many of the good Yelp reviews. So they took the Cash and left. We slipped down to their truck and saw them in its cab, counting the cash and laughing. It was absolutely obscene. I am not sure what I will do about this. BBB, or DCA... It will probably require some consumer protection group to do it right. But we sure want some of our money back.In the meantime - beware. 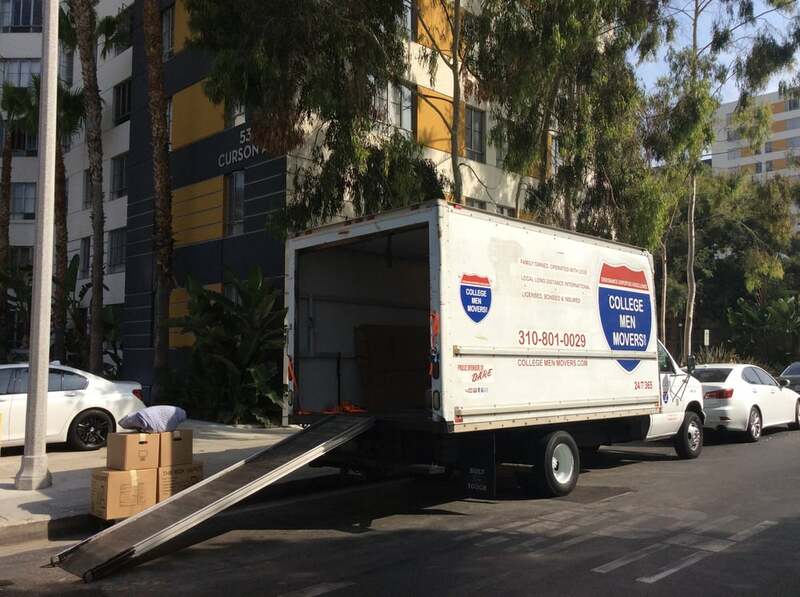 And I am sure that these movers are not the only ones to stack empty boxes into a truck to make it look super full. It is such an easy way to add extra hours (or days) to the moving fees.One last thing: they did not put all of the cable boxes in the Expedition as requested. So I am paying the cable provider for them every month until I find where they are packed in storage. What a scam. I couldn't have been more thrilled with a company!! It literally came down to 3 days before I had to be out of my apartment to find my new place. I was working with a tight budget and calling every company I could find on google and Yelp. 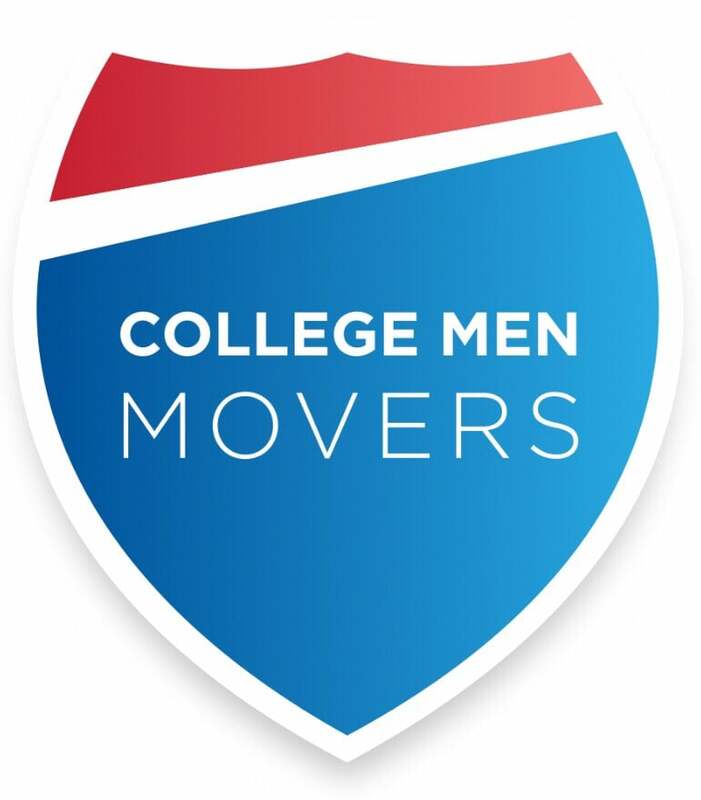 What made me choose College Men Movers was the fact that when I called to get a price quote Leon was straight forward with me. Told me everything I needed to know about pricing, and how the whole move would go down. He kept it real, and I really respect that. Plus being such a short notice, which at this time was 2 days before my move, all the other companies were booked, and wanted to move me during rush hour to downtown!! I knew this was crazy and wasn't going to work. But Leon had a crew available for the morning I needed. He also discussed with me things I hadn't even considered, such as certain areas having restricted move times because of noise ordnances. So the fact that he was so knowledgeable and very experienced made me feel comfortable. Also he worked out a deal with me because of the budget I had to work with, it was a huge blessing. Then the day of, my crew showed up 15 mins early to do a walk through of the building and discussed with me how everything was going to work. At exactly 8am they got to work. The awesome thing is they didn't bill me for the walk through. At 8 I signed them in and that's when I started getting charged. It was only a 2 man crew, but I couldn't believe how quickly and professionally the 2 of them worked, let alone how friendly they were. We talked pretty much the entire time without them slowing down. Getting to the new location I knew was going to be tough with parking and with getting my rather large furniture through the small halls. But Mario and Louis never flinched, they told me they would absolutely get it done. And they did!! They ended up having to carry my couch up 8 flights, but never lost their smiles!!! From start to finish this was the most epic crew and experience I could have ever asked for!!! Thank you Mario, Louis, and Leon for getting me moved. I will definitely hire them a gain with no hesitation, and probably even request for Mario and Louis again! Really great experience! They moved in my stuff in a timely manner and very efficiently with their own boxes. Definitely worth using.